aficionados Erik and Eric. It is a price comparison site for both individuals and companies that are interested in installing solar power systems, but it is also a market place for suppliers of solar panels. The website's users fill in all necessary data for their thought solar power system and gets, after tax deductions and calculations, an estimated price and an estimation of how long it would take for the system to pay for itself. From there, the users can find relevant, nearby suppliers and ask for quotations. 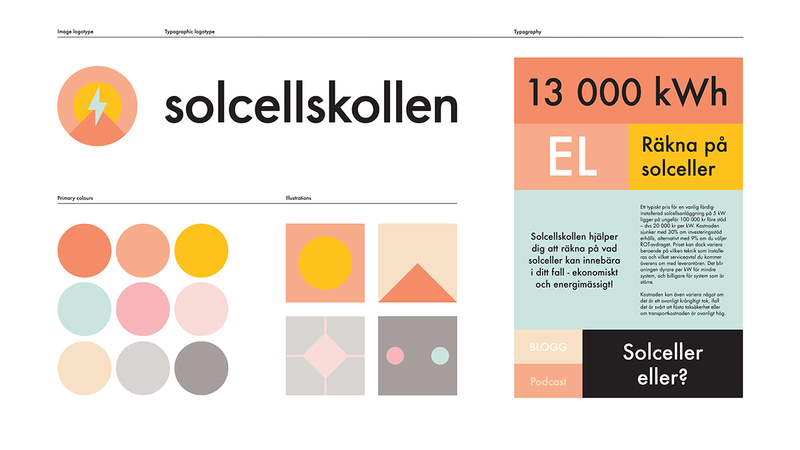 Solcellskollen is also a blogg and a podcast about solar power - both historically and about branch progress and news. A visual identity and web design, with clear and simple logotypes that together with its colours make a strong visual impression. 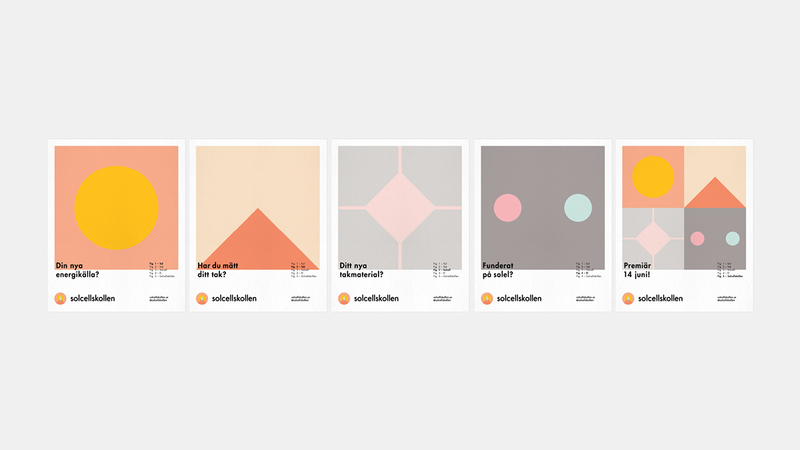 The colours are inspired by the sun, warmth and electricity. The identity and the website had to differ from all other kinds of comparison sites, with lots of clear space and distinctness and without the use of cliché-ish green colours. Since Solcellskollens business area, and solar power by itself, is very data- and text heavy, it's important that the site is educational, pedagogical and easy navigated. 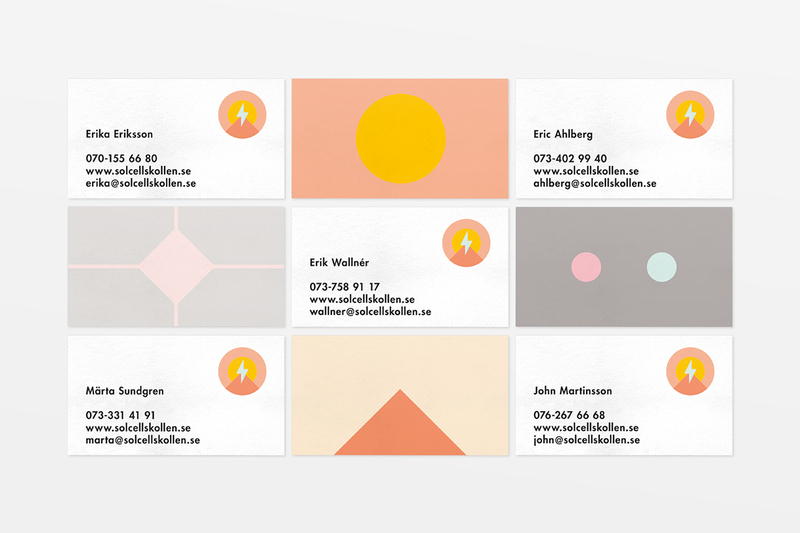 The identity is designed so the persons behind Solcellskollen easily by them self can make applications thats are strong enough to be associated with the brand. 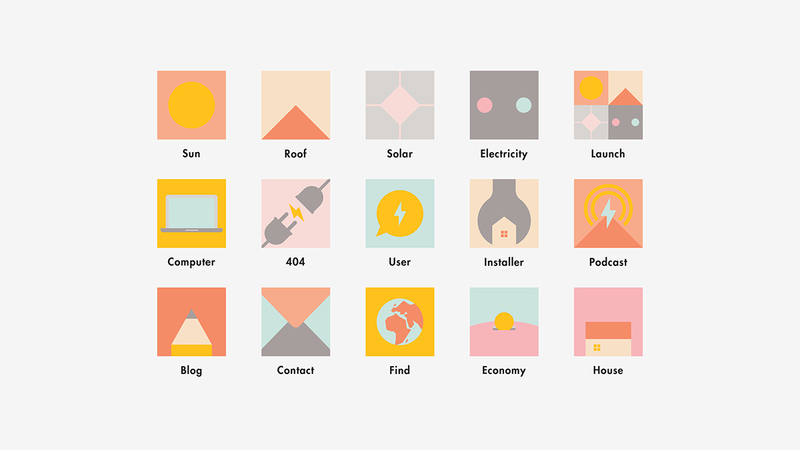 It also contains a maner for illustrations, based on simple geometric shapes, that comes from the elements of solar power systems - the sun, the house and the electricity. 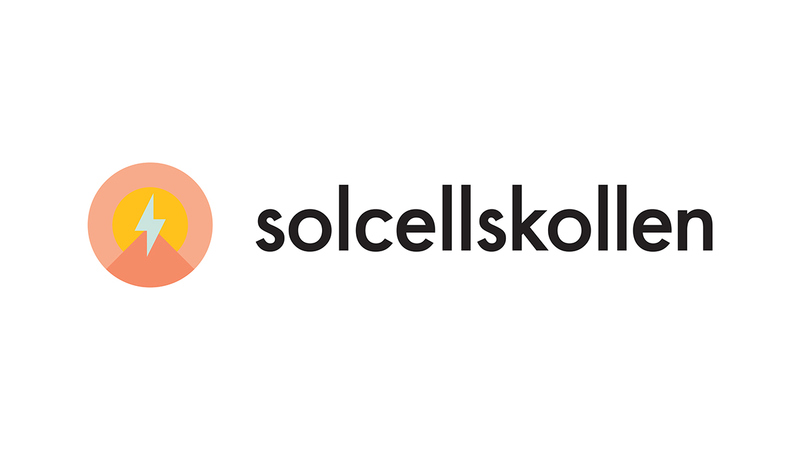 Visual identity and web design for Solcellskollen - a price comparison site and a market place for solar power.